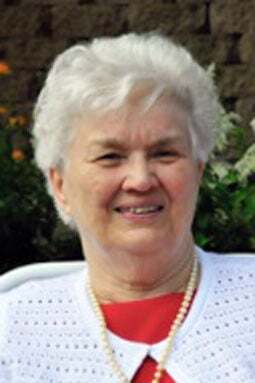 FREMONT — Mary Lou Robertson, 82 years, of Raleigh, North Carolina, died peacefully surrounded by her loving family. Mary Lou was born Aug. 30, 1936, in Cedar Bluffs to Carl and Lucille (Brand) Petersen. She grew up in and around Fremont and graduated from Fremont High School. Mary Lou married Earl Robertson on March 6, 1954. Together they raised four children while moving around the country. Mary Lou is survived by her husband of 65 years, Earl; her children, Becky, Terry, Kirk, and Mary Kay; 12 grandchildren; and 17 great-grandchildren. She was preceded in death by her parents, brothers, and sister. The funeral will be 10 a.m. Saturday, April 13, at Salem Lutheran Church in Fremont, with a lunch to follow. The committal will be in the Salem Lutheran Cemetery at Fontanelle, Nebraska. Visitation at the Ludvigsen Mortuary will be on Friday, April 12, from 3 to 8 p.m. with the family receiving friends from 6 to 8 p.m. The family request donations be made to The Alzheimer’s Association in lieu of flowers or gifts.